Before this year’s American Idol winner David Cook was crowned, not many people outside of the Midwest, or even Missouri for that matter, had ever heard of a town called Blue Springs. Now the world is abuzz with, well… buzz about this small town’s proclivity for producing even more musicians of Cook-esque caliber. Let’s take a moment to cross genres from pop-rock to what I’m going to call pop-punktronica. 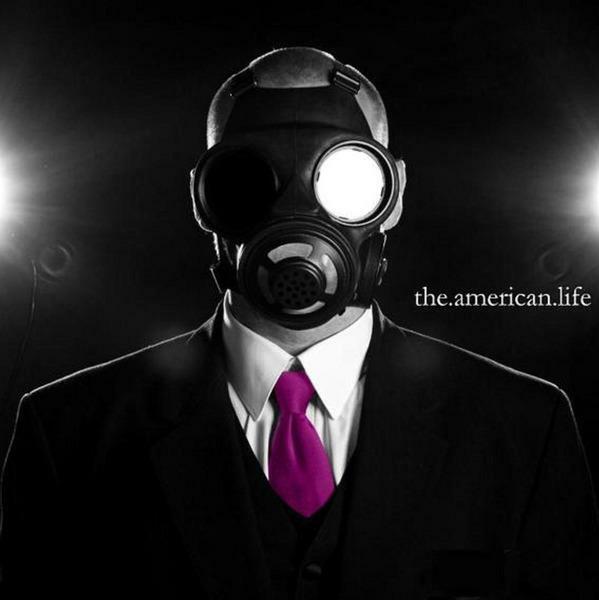 Enter onto the scene: The American Life, Kansas City’s own octet of punk ambassadors. What tastes David Cook meets with his clean cut charm, powerhouse voice and Seacrest-pleasing boyish face, TAL does so with a rougher-hewn blade; skin-sleeve tattoos, chops, and a general badass nature that escapes anything durrogatorally emo. Somehow these guys manage to remind me of what I like best about bands like Lit and Marvelous Three while infusing both elements of more hard-edged bands like Pillar and Hawthorn Heights with the occasional Kraftwerkian electronic twist. The synth leed runs rampant behind high-strung guitars while you’re left far away from everything you know about punk rock. Their salutary address Intro comes through loud and clear to herald their arrival onto the scene. No more are the three-chord filled tracks days of wailing whiners with poorly written anti-establishment lyrics. TAL’s exposition is personal and narrative, giving way to the band’s soul. When was the last time you heard punk rock with a soul? The depth of sound in each chorus and verse leaves you floating in a peaceful state of mind as Coming Home ends. No emo comas here though, a wicked key line snaps you out of any sleepy state you were in and reminds you that We Are Alive. More surprises await as you surrender your ears to the electronic snare/synth cadence of Wait. Right here is where I knew this album was different; this album was good. You may just have to wait for more yourself.